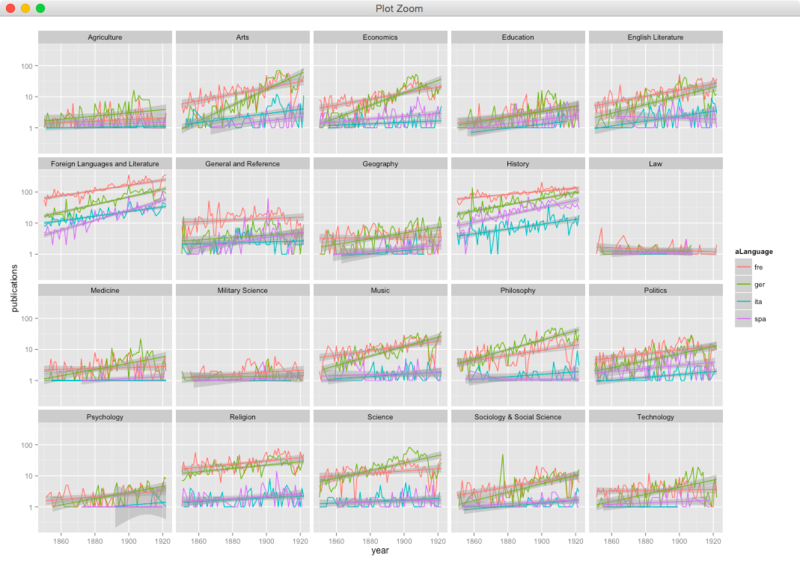 For my first data exploration of the booklists, I started by looking at the subject trends of books from 1850–1922. Unsurprisingly, there is a general increase in publications for all subjects due to advances in printing technologies. I measured each subject’s presence in print culture based on the sum of the number of words and the number of publications. Both are nearly identical. 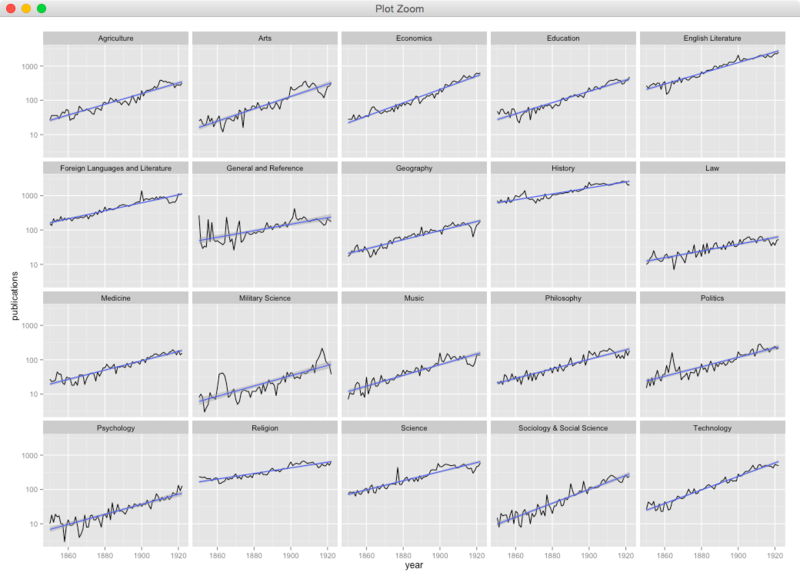 I could’ve made a mistake in the code, but the graphs have different scales for the y-axis. 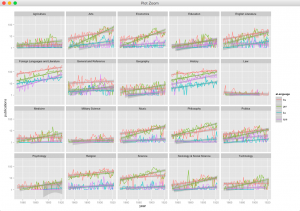 Because that graph wasn’t interesting, I focused on which languages were producing texts for each subject. I limited the languages to French, German, Italian, and Spanish. German overtakes French as the most published language for the Art, Science, Technology, Music, Medicine, and Economics during the span of this graph. I wouldn’t have guessed, though, that French was a more common language for Military Science publications right before WWI. I’ve added a part of my Faulknerian random walk generator because I really liked it. I added some punctuation and ellipses to make it look modern. The modernists loved ellipses. I love your generator. It feels a lot more rich in vocabulary than the actual Faulkner that Ramsay quotes.